Painting your home to perfection might seem like a simple enough process, until you actually sit down and try to start. Homeowners quickly come to learn that their lack of professional understanding can lead to dodgy and unattractive paint jobs. However, there are some insider professional tips that you can easily learn, which will help turn you into a painting DIY master in no time. With careful planning and preparation, you can have the home of your dreams before you know it. Here are some of the solutions and techniques that the experts use to take care of even the most difficult painting problems. Many homeowners find themselves dealing with cracking and flaking much too soon after they finished the paint job. This is often caused by the painters not taking the time to do adequate preparation on the walls. Before you even start to think about painting your walls, you’ll need to take the time to sand down the current walls color and add a primer. This will help ensure that walls are able to sufficiently absorb the paint color, leaving you with beautiful and even looking walls throughout the space. Leaching is when the paint color you add to the walls start to collect and form almost a leaking pattern. This is particularly prevalent in more humid spaces such as bathrooms and laundry rooms. Acrylic paints are the most likely to have this happen, and so choosing a different paint base will be a great way to avoid this. 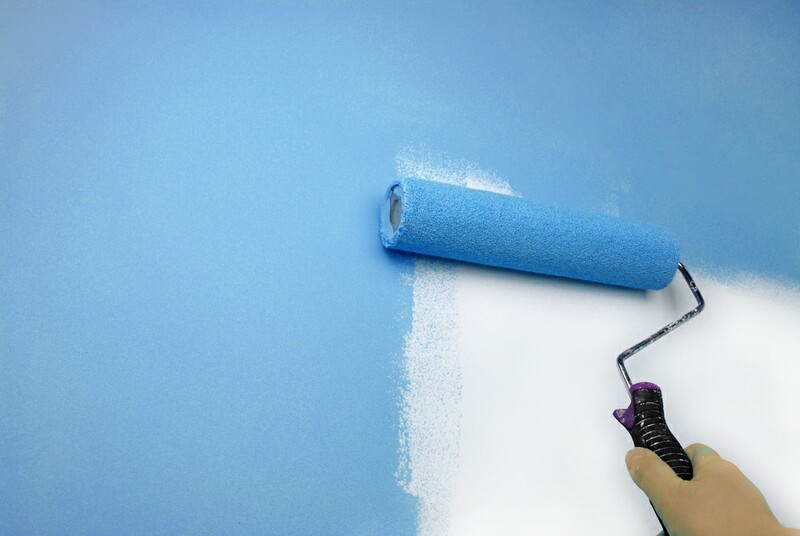 Another helpful tip will be to thoroughly wash down the walls with soap and water, and be sure to dry it completely before you apply a new layer of paint. When paint is layered over a wall that already has leaching, it’s much more likely that the problem will turn up again. Wrinkling occurs when the paint is either applied much too thickly onto the walls or when it’s applied in extreme weather conditions. To avoid this kind of problem you’ll need to make sure you’re doing your painting during more temperate climates. Avoid seriously rainy days, even when your painting inside, as the moisture can easily make its way in. Also try not to paint on days that are too warm, as it can cause the paint to dry too quickly, giving you an unattractive look. Burnishing can be a common problem for inexperienced painters. This is when there are spots or areas on your walls where the paint is significantly more sheen. This can happen because the paint was not completely applied evenly during the time of painting, or it can even be a result of over-enthusiastic cleaning after the fact. A great way to avoid this is by investing in a quality, washable, semi-gloss paint and make sure that you’re using non-abrasive cleaners on the walls themselves when possible. Having a primer set down before you even start to paint will also be a way to protect against this problem.